New ListingCanon AE-1 35mm SLR Film Camera Canon Lens FD 50mm 1:1.8 S.C.
4.5 out of 5 stars - Canon AE-1 35mm SLR Film Camera Canon Lens FD 50mm 1:1.8 S.C.
373 product ratings373 product ratings - Canon AE-1 35mm SLR Film Camera Canon Lens FD 50mm 1:1.8 S.C.
Viewfinder: Real image finder, 0.37x, with target spot. Selfie mirror: You can check your framing with the mirror next to the lens. Adjust the dial to the lit position. Shoot and obtain pictures instantly. 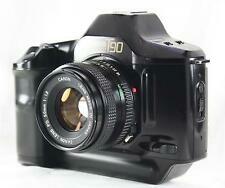 Olympus OM10 35mm SLR Film Camera w Zuiko Lens 50mm f1.8 tested & working. Lens is clear and focus, aperture work smoothly. Light meter works and battery still ok. Camera body has some very light scuffing. Some unexpired film included. 3 rolls of Fuji 400 Superia xtra 36 exposure. There is no balsam separation. I participate from Japan. So I can provide you the best service. ◆The motion of the valve shutter is not accurate. Each rings work well and smoothly to turn. The viewfinder is clear. Vintage Nikon Nikkormat FT Film Camera w/50mm Lens . Please mote the camera holder is broken. Lens looks good. Film advances. Everything seems working. Please see pics for details. Feel free to ask questions Condition is Used. Shipped with Standard Shipping. Includes new batteries. All functions operate correctly. Elsewhere it is virtually unmarked. EXC Very minor signs of use only. EXC Signs of moderate use but no bad dents or deep scratches. Gradings guide. Vintage, pre-owned, & 100% authentic! Selling AS IS, and UNTESTED! Camera hasn’t been used in years! Comes with everything you see pictured in the listing! Thank you! 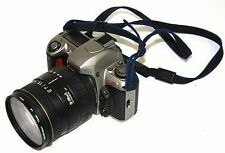 This camera was owned by a collector and worked prior to storage. I have not tested this but you can tell it was well cared for and stored away properly. Will ship within 24 hours of payment. 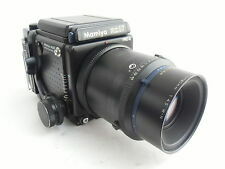 MINOLTA WEATHERMATIC DUAL 35 POINT & SHOOT UNDERWATER FILM CAMERA WITH STRAP. Condition is Used. Shipped with USPS Priority Mail. EVERYONE HAS THEIR OWN OPINION ON WHAT A CONDITION IS ECT. Everything appears to be working, but it has not been film tested. There is a marking, "HR, that appears on front and other places, which I have not found on other models so far. Kalart Synchronized Range Finder. Only photographed accessories are included. Bellows are clean with no leaks. No hazes or fungus or scratches. It in NO WAY impedes or is even visible through the viewfinder. Clear. Clear. Shutter fires well. I will do my best to solve the problem with you. Few fungus. No marking. Works. New ListingNikon FM2 35mm Film Camera w/AF Micro Nikkor 60mm Lens, Filters, Manuals & More! Nikon FM2 Instruction Manual ;. Nikon FM2 - The traditionalist's choice pamphlet. It is marked "FM2", "N7751108", and "MADE IN JAPAN" on the base. It certainly has been treated very well over the years. 5491102 lens. Film advance & rewind work. Protective skylight filter on lens. The wood is immaculate. The bellows doesn't show any signs of wear. No light leaks. The various knobs tighten securely. Focusing is smooth. Has obviously been used sparingly. The original Wista ground glass is spotless, no scratches. New ListingVoigtlander Prominent camera with 50mm f:1.5 Nokton lens NICE "LQQK"
Looks to be in very good condition; a little dusty with no real wear. sold in "as is" condition. Tested and functions. Lens focus and aperture work smoothly. Glass is free of scratches and fungus. 2 very small dents in top of prism. Net proceeds from the sale of these goods and financial donations from the community make it possible for us to operate our free job training programs. In very clean condition. Net proceeds from the sale of these goods and financial donations from the community make it possible for us to operate our free job training programs. Any item sold by the Seattle Goodwill is eligible for local pick up at our warehouse. 5 out of 5 stars - Nikon EL2 35mm SLR Film Camera Body only (black color). Untested. 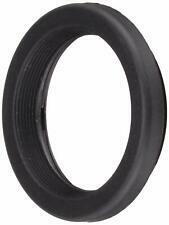 4 product ratings4 product ratings - Nikon EL2 35mm SLR Film Camera Body only (black color). Untested. The lenses are: Exida Iscotar 50mm f/2.8 Isco Gottingen, Berogon 35mm f/3.5, and Iscotar Isco Gottingen 135mm f/4. These lenses are surprisingly clean and clear, without scratches. This West German made outfit is from the 1960's, I believe. Net proceeds from the sale of these goods and financial donations from the community make it possible for us to operate our free job training programs. No exceptions can be made. Any item sold by the Seattle Goodwill is eligible for local pick up at our warehouse. Plus an extra zoom lens with a case it is Zoom Nikkor 100 ~ 300 mm plus a Nikon Speed Light SB - 16 and a heavy duty lens that says on yjr round part of the lense,Type 1 AEROSTIGMAT Lens 12 in (303mm) f/5 9x9 RM179 Made in USA by Eastman Kodak Co, an auto winder and a about a 41" push button thingy. This is an item from Japan. All shutter speeds working. You can be shure the Yashica is fully working. The finder and the Tessar 35mm lens are mint, no scratches, cleaning marks, haze or anything else. Serial number: 108150. Pentax 645 Medium Format Camera w/75mm f2.8 A Lens & 2-120 Film Mags! We are always looking to buy and trade. 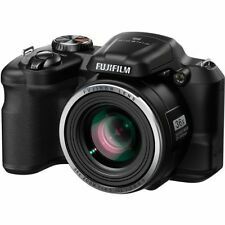 Nikon L35AF2 One Touch F2.8 35mm Point & Shoot Film Camera TESTED. Condition is Used. Shipped with USPS Priority Mail. Focus, zoom, and aperture work smoothly. Glass is free of scratches and fungus. Because Jobs Change Lives! Any item sold by the Seattle Goodwill is eligible for local pick up at our warehouse. Minolta XG-1 35mm SLR Film Camera - 3 Lenses, Tele Converter, Flash & More!!! 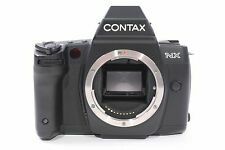 CONTAX G2 35mm Rangefinder Film Camera - Body Only, Titanium. Excellent cond. Voigtlander Prominent camera with 50mm f:1.5 Nokton lens NICE "LQQK"
A camera can capture many memories, from birthday parties and holidays to everyday occurrences. With the use of film rising, you have the option to shoot with digital, instant, or traditional film. The key to shooting great shots is to find the right camera and lens for your skill level and learn how to use it. What are the common features of film cameras? What types of film are available for an analog camera? There are many analog camera options and with these options comes a range of film sizes, shapes, and styles. Most analog models will take 35 millimeter film. This standard size is produced in a wide range of options, including traditional colour, black and white, red scale, and colour negative. Along with these options, 35 millimeter also comes in different speeds that can help you get sharper images depending on whether the subject of the photo is in motion or standing still. 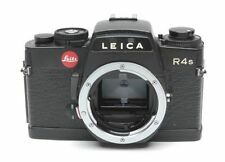 Larger models take larger sizes, such as 120 film format. Many of these models also have convertible attachments to switch it to 35 millimeter for convenience. 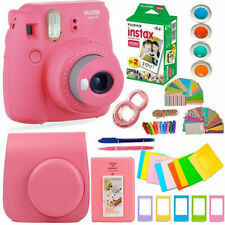 Polaroid (or instant) cameras use film packs that provide you with a photo at the click of a button. This type comes in mini or square format. Can a vintage camera use new film? Film has never gone completely out of style, and most manufacturers still produce a range of products that work for new devices as well as older models. The most common size and most abundantly produced film size is 35 millimeter. It easily works with most vintage and new devices. 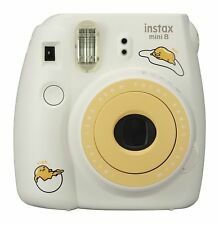 Some of the newer Polaroid models have packs that are too small for vintage models, but the traditional square size packs are also available and can work with some vintage models. Less common options such as 110, 120, and 4 by 5 sheets are also produced for specific camera types.